Last year’s biggest arrival on the rock scene, the unquestioned Rookie Of Year if such a vote was taken thanks to their startling debut which not only topped the Race Charts in Billboard magazine but also shockingly crossed over into the Pop listings (#13) and spawned cover versions from across the musical spectrum, was of course The Orioles. But were that brilliant introduction all they had to offer, as notable as it was, then maybe their impact would be diluted over time, even by the following winter where we find ourselves now their star might’ve dimmed some once everybody had spun It’s Too Soon To Know until the grooves wore out before moving onto something else by someone else. Chart placements alone weren’t all they were contributing to the field however, they had also ushered in an entirely new sound to the rock lexicon with that song, a fragile vulnerability that perfectly reflected their audience’s inner doubts while at the same time those ballads provided a much needed counterbalance to the generally uptempo and raucous – not to mention frequently obscene – songs that made up the bulk of rock’s output to date. The Orioles’ influence therefore would last well beyond the expiration date of their first momentous hit, indeed the next full decade would see countless groups inspired by these five young men. So for no other reason than that their legacy seemed assured. But they hadn’t stopped there and in the fall they scored again with the first original Christmas song in rock history, It’s Gonna Be A Lonely Christmas, thereby elevating their stature even more. However that song had initially been seen by Jubilee, their record label, as merely the B-side to a song they had high hopes for, To Be To You, one that had promptly been ignored in favor of the holiday themed cut adorning the flip side. But once January came the market for Christmas songs dried up overnight thereby costing them sales, as most hit records at the time sold for far longer than the six weeks or so Jubilee 5001 had been in stores. So in an effort to reap the rewards their widespread acclaim was now bringing and hopefully to give the fairly bland To Be To You another chance at hitting, they swapped out the Christmas song for a new cut and thereby gave themselves another shot at scoring a hit (or even two) while giving US another chance to… well, to take shots AT them for their descent into bland squaresville. In our previous review for Midnight At The Barrelhouse by Johnny Otis, another song which replaced a holiday themed side on a re-issue of a recent record, we made specific note of this Orioles cut and mocked it by saying we wouldn’t deign it with a review. So obviously its appearance now marks yet another change of heart here regarding what songs will be reviewed and which will be passed over. Maybe I should stop commenting altogether on sides yet to be determined so I don’t waste valuable time having to explain why I changed my mind each time, but then again doing so hopefully gives some further insight as to the rock landscape at the time, so it might actually be educational. The reason why Dare To Dream now appears here is twofold. The first is it’s hardly representative to showcase only the best of any artist, especially when future reviews (here I go again, commenting on things yet to come!) will praise them for their bolder musical choices and in the process criticize them for their earlier more timid ones. It therefore makes sense to actually SHOW the timid approach they tried and failed with which puts the later records in a much better light. The other reason though is to continually show how those decisions at the time were far from clear cut. Though today it seems obvious which direction provided not only the most aesthetic value (that would be the pure rock sides), but also those which were most likely to carve out their own place in the music world (again, that would be the rock sides! ), but in 1949 that was far from a sure thing. In fact it was going against YEARS of evidence to the contrary! Pop music was commercially dominant in those years to an extent that no other field has been since in terms of commanding such a sizable market share. This way of thinking did not change overnight with rock’s arrival and rapid (albeit still comparatively marginal) commercial ascent. Widespread pop acceptance was the unquestioned goal for all but the most contrarian of artists and record labels. For the next ten to fifteen years, even as rock became ever more powerful commercially, rivaling and eventually overtaking mainstream pop in sales, rock artists were STILL constantly encouraged by the industry to pursue more “serious” material – standards and pop arrangements with their adult audiences and classier venues – if they wanted long term careers rather than rely on supposed short-lived fads that appealed only to juvenile delinquents and the screaming teenaged masses. The fact that it was rock ‘n’ roll as a whole which completely upended this mindset – eventually – is one of the genre’s most impressive accomplishments and in order to show just how monumental a change in the music biz this actually was it helps to spotlight how rock acts who succumbed to the old school way of thinking saw few if any benefits from doing so. Thus here we are, reviewing a song I’ve already called “an insipid supper club pop offering”… Oh well, so much for the suspense of what the final verdict on the record will be. But now let me throw you a change up and actually attempt to DEFEND it. Well, maybe not defend the record so much as defend their thinking in recording it to begin with (to a point that is). In the time between the advent of the black music charts in Billboard magazine in 1942 (variously called the Harlem Hit Parade and then starting in 1945 simply Race Records) and the dawn of rock ‘n’ roll in September 1947 there were only two vocal groups to land #1 records, The Ink Spots (five times) and The Mills Brothers, two acts we’ve talked about in passing numerous times on these pages when referencing the dominant pre-rock vocal group style. They essentially were POP singers, the difference being merely the pigmentation of their skin which meant they were viewed by the public differently than the likes of the white pop vocal groups, but essentially they were performing in the same milieu. Oh, don’t get me wrong, they DID add more than a little color (no pun intended) to the style, but for the most part they stuck to an approach that would make them palatable to the white middle-class mainstream listeners and were rewarded for it. But let’s look even further down those listings to pick up on what seemed like viable means to connect for black vocal groups. In 1947, a year so thoroughly dominated by Louis Jordan that the weekly five spot listings often had four songs by Jordan, the only vocal groups to make the charts were the aforementioned familiar faces of The Mills Brothers (two songs) and The Ink Spots, as well as Savannah Churchill backed by The Sentimentalists, soon to change their name to The Four Tunes and who’d tentatively venture into rock themselves from time to time while never fully shedding their pop leanings, and Bill Johnson & His Musical Notes with Don’t You Think I Ought To Know. That’s it. And all of it was pop. 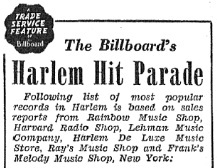 Cash Box magazine’s Harlem chart had a ten spot listing throughout 1947 which gives us a chance to study a few more entries in which we find the vocal groups not already found in Billboard who made that listing in the year before The Orioles’ formation were The Basin Street Boys, Al “Stomp” Russell Trio (sort of a jive group), The Brown Dots (Ink Spots clones who became The Sentimentalists and then The Four Tunes in time). Again, all pop artists with pop material for the pop market. The ones that broke that stranglehold were none other than The Ravens, the first rock vocal group but which, in the waning months of 1947, were still just as likely to be viewed as a novelty act thanks to their unique bass leads of Jimmy Ricks. Furthermore, two of four sides they had that charted were Would You Believe, featuring a pop delivery by tenor Maithe Marshall, and Summertime a mild rock adaption of a pop standard. In other words, the idea that this newfangled rock music was going to upend the accepted order of things overnight was far-fetched and hardly anything to bet your careers on. So while The Orioles DID in fact deliver an unquestioned rock classic out of the gate the next summer with It’s Too Soon To Know, adding a measure of soulful yearning that was alien to the pop field, the fact that it was a sparse ballad also connected it in a way to the basic pop music principles that had reigned for years. Certainly the lack of honking saxophones, stomping back-beats and lyrics encouraging open revolt amidst booze-fueled orgies meant it was conceivably difficult to associate it with that earthier brand of rock. Only when the audience for it proved to be the SAME audience drawn to the more frenzied sides by honking saxes and the urgent shouters did the full scope of rock’s reach become apparent and the two entities became intertwined forevermore. All of that was still yet to be seen however when The Orioles entered the studio to cut Dare To Dream. So it has to be kept in mind that that’s the world The Orioles themselves came of age in, that’s the landscape Jubilee Records had traversed in trying to make a go of it in the record business, that’s the music radio played – if they played anything from black artists that is – and that’s the material expected from established audiences, the kind who frequented clubs where money was to be made touring. Therefore it’s not surprising that’s still the world where they all figured their future probably lay and so in that context Dare To Dream made perfect sense and, to be fair, was a very solid effort… even, dare I say, a GOOD pop record. The Orioles could indeed sing very well. Historically they’ve sort of been given a short shrift in that regard, their harmonies are not always tight, they relied on the same approach each and every song with first tenor Alex Sharp floating over the proceedings and George Nelson’s baritone taking the bridge which merely repeated a stanza already delivered in the verses and they rarely, if ever, deviated from this approach. But in Sonny Til they had one of the most soulful evocative leads in rock ‘n’ roll, someone who could make you feel the ache of the lyrics and skirt the edge of tumult while retaining full control and he immediately set them apart. Here he’s no different, his voice rising effortlessly at times then dropping down as if his larynx had a parachute attached, delivering a tender performance which is quite lovely all things considered. But while Til is obviously the focal point of the record he’s not the ONLY factor in its assessment for our needs, nor even the most important factor which – as regular readers well know – always comes down to CONTEXT. For it’s there, and in every other regard musically, that Dare To Dream fails miserably in forging any connection to the rock audience’s tastes and expectations. Its lyrics, the accompaniment and the entire structure are as straitlaced as it gets and no amount of vocal urgency from Sonny Til can obscure that. 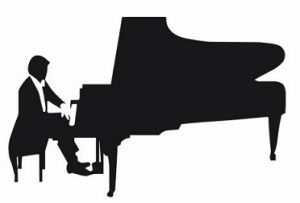 Whoever is playing piano here, which provides the only notable instrumental backing, must’ve been dragged out of a lounge act catering to blue-haired sophisticates on Park Avenue. You envision him in black tie and tails, dignified yet emotionally repressed, playing what to him seems to be proper and refined and congratulating himself on steering The Orioles into a more classy approach. If you’re a rock fan on the other hand this florid backing probably will make you wretch. It’s SO stiff and awkward sounding that even Til’s best moments are dragged down by the dainty accompaniment. Since there’s nothing else of note to take your mind off it – no prominent harmonies by the others, no bassline to give it any sense of rhythm, no instrumental break to shake things up – all that’s left is to reach for the aspirin if not the Off button unless of course you want to go traipsing off to some swanky venue with valet parking for some filet mignon… in that case I suppose it’s perfect. No matter how The Orioles tried to conform to mainstream pop realities they would always be the outsiders in that world, never respected, never praised, never successful… or at least never AS successful, praised and respected as they’d be if they stayed within the rock community. It was the latter audience, the rock generation, who were desperate for idols of their own, someone who understood and appreciated them for who they were and gave them songs and performances which reflected their experiences in a manner that didn’t condescend to them or ask them to try and be something they weren’t in order to appreciate their output. Dare To Dream might be a decent pop record and I know there’s generations of listeners from all backgrounds in the years since who accept and enjoy these more poppish concessions from the vocal groups back then, pointing to the delicate leads and nice melodies, and they’re certainly entitled to that view. In a pure pop setting I might even agree and give this a (6) when compared to other pop songs of the day. But this isn’t a pop music history and the audience for this group wasn’t a pop music audience and THAT is a difference that has to be acknowledged and in fact celebrated. Rock – as we keep saying – was music for a specific audience who were forcibly denied entry into the mainstream by a society that looked down upon them from birth. It was music meant NOT to conform to someone else’s standards, but rather to push back against those standards with the belief that their unique worldview was worthy in its own right and didn’t have to be watered down or compromised in order to be treated as such. But with this song The Orioles – maybe not with the awareness of what that yet meant – were in effect turning their back on that need and if rock is to succeed, if rock fans are to break those shackles of cultural irrelevancy they’d been dealt from a stacked deck, then songs like this HAD to be rejected out of hand each time they tried to drag us all back to the past if for no other reason than to clear the field for rock to have a pathway to success. What the generation that made up the rock audience dared to dream was a day where the “standards” – musical and cultural – were set by them, not by someone else. I don’t even think I enjoy this one too much by pop song standards. I’m not sure why anyone thought this would be a hit. It’s too raw for pop, but too banal for rock-and-roll. I’d agree with your rock-based “3” and give it a pop-based “5” additionally. Leave a reply on "The Orioles: “Dare To Dream”"